For over 30 years, DAAD Alumni & Friends has been committed to an active welcome culture. The Alumni Association of the German Academic Exchange Service (DAAD) creates places for encounters. Members organise events for DAAD scholarship holders and alumni on a voluntary basis. The DAAD-Freundeskreis e.V., which was founded in 1981, has the objective of supporting the work of the DAAD and promoting the spirit of international understanding. Statutes (pdf, 60.27 KB). The Association has around 1,300 members. Most of them are former scholarship holders, who themselves experienced the importance of hospitality in a foreign country. Openness, participation, appreciation – this is what counts for DAAD Alumni & Friends. For us, international experience is not simply one stage in a person’s CV, but a philosophy of life. More than 100 members at around 40 universities are actively involved in regional groups on a voluntary basis. Students, doctoral candidates and professors, other employees and pensioners create a varied programme together. They thus help international guests to settle in and introduce them to Germany and the German people. 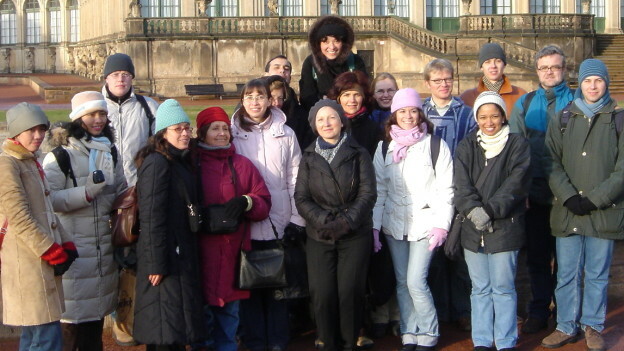 Everyone benefits from international exchange on excursions and trips. DAAD scholarship holders and alumni share their experiences and learn from one another. In 2011, DAAD Alumni & Friends were acclaimed as a “Landmark” in the Land of Ideas. 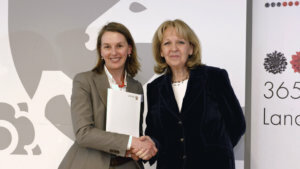 The Association received the award for its contribution to international understanding and for strengthening Germany as a location for science. You will find a report on this in the LETTER supplement 1/2011. “Germany – Land of Ideas” was a location initiative, funded and promoted by the German federal government and German industry. Each year between 2006 and 2012, 365 projects received an award from among thousands of entries. Since 2004, reports on the Association’s activities have appeared in our supplement to the DAAD alumni magazine LETTER. After this was redesigned in 2013, it now includes the profiles of scholarship holders and news about DAAD Alumni Associations abroad. In addition to the print version, our newsletter is now also sent out digitally.